Parking : Visitor/patient parking is available at in front of the Charlotte Sills Wing, between McDonald and First Streets. 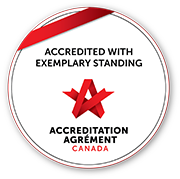 There is also a parking lot in front of the WCA building, accessed from Dufferin Street. 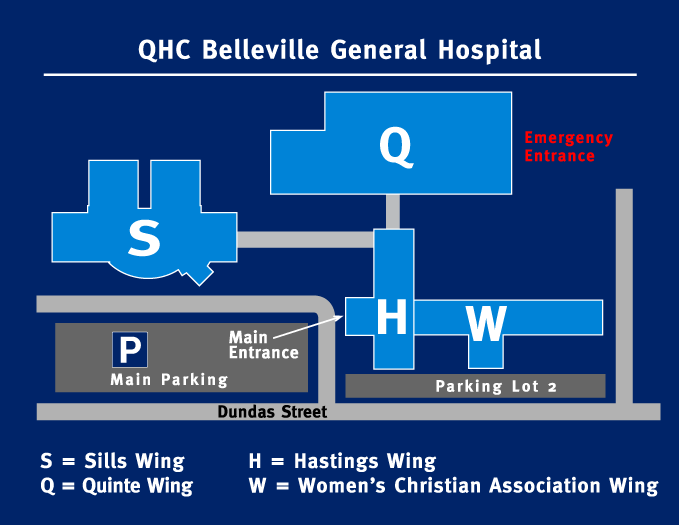 For the large parking lot in front of Sills, patients and visitors enter off of McDonald Street and exit at the south east corner of the lot. Please be aware that the BGH main entrance and Sills entrance are closed between 9pm and 6am. Patients and visitors can access the hospital during these hours from the emergency entrance - from Dufferin Ave. during the overnight hours. Please note: The parking lots at BGH are extremely busy, particularly from 9 a.m. - 4 p.m. Monday to Thursday. 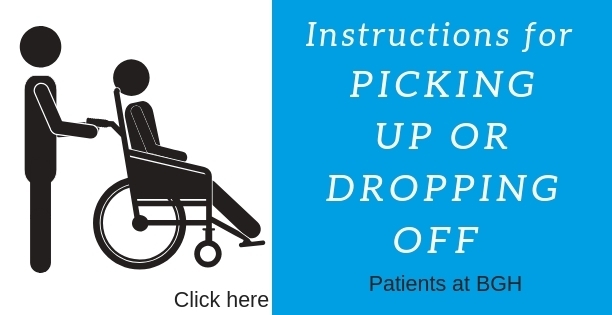 If you are coming for an appointment, plan to arrive early if you need to park, or consider having someone drop you off for the appointment. Public Transit : A bus stop is located just outside the main hospital entrance on Dundas Street. Information on routes and schedules is available on the City of Belleville website or by calling Belleville Transit at 613-962-1925.